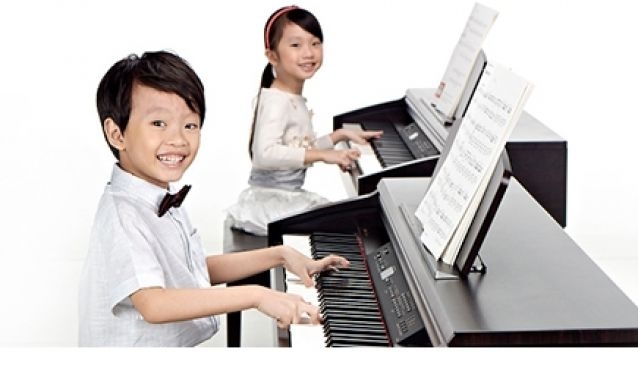 Yamaha has been providing quality music education globally to people of all ages since 1966. It's never too early to start, so their courses for children are fun-filled and enriching. Yamaha's music curricula are designed to engage pre-schoolers and school-age children so that they develop a life-long love for music. Through a combination of imagination and exploration, your child will learn to embrace music spontaneously. Their classes are organised according to age and are addressed to children, teens and adults with Yamaha Grades to obtain if you wish to. Learn how to play your favourite instrument- Piano, Violin, Clarinet, Flute, Electrone, Guitar, Ukulele, Vocal, Drums, Trumpet, Saxophone, in all musical genres like Pop Rock, Jazz, Classical and Contemporary music. Aside to their branch at Plaza Singapura, Yamaha's services are also available in 10 other locations.